Butterfly Reflections, Ink. : You're Pand-awesome! 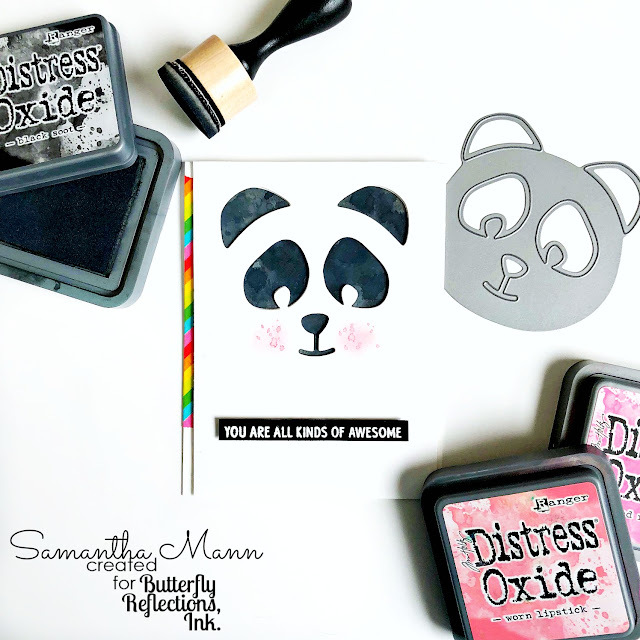 Samantha here, and today I'm sharing a card I made using some Neat and Tangled products! My oldest little Mann is obsessed with pandas, so I just **had** to make this card for him! 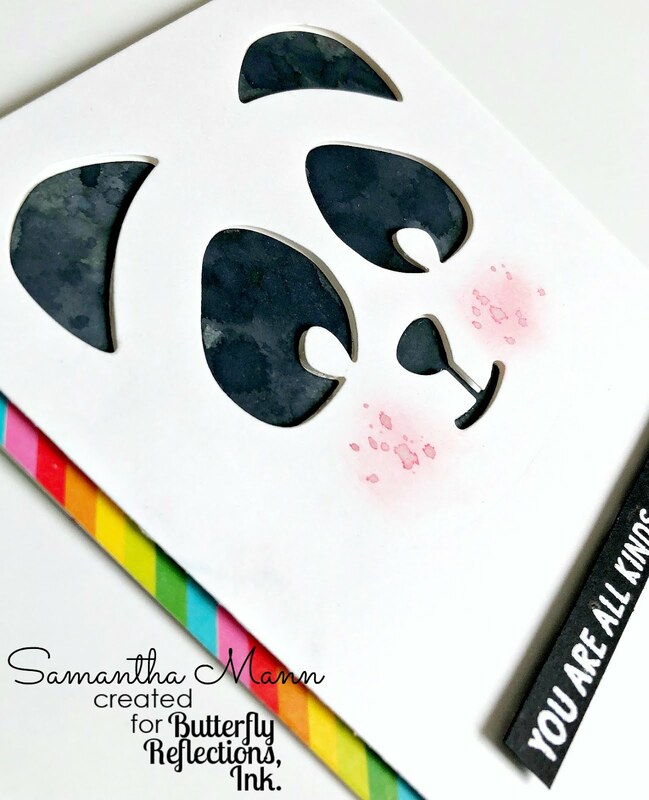 I die cut that sweet little panda face from the Panda Die and did some watercoloring and ink blending with Distress Oxide Inks to add color the cut out pieces! I head embossed the sentiment from the INCREDIBLE AMAZING WONDERFUL AWESOME So Many Sentiments stamp set and popped it up with some foam tape! I finished off the card with a strip of that amazing rainbow washi! 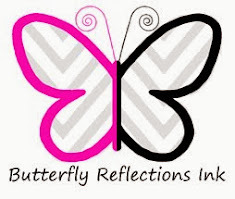 Hopefully this card put a smile on your face and now you're ready to happily shop at the Butterfly Reflections Ink shop!